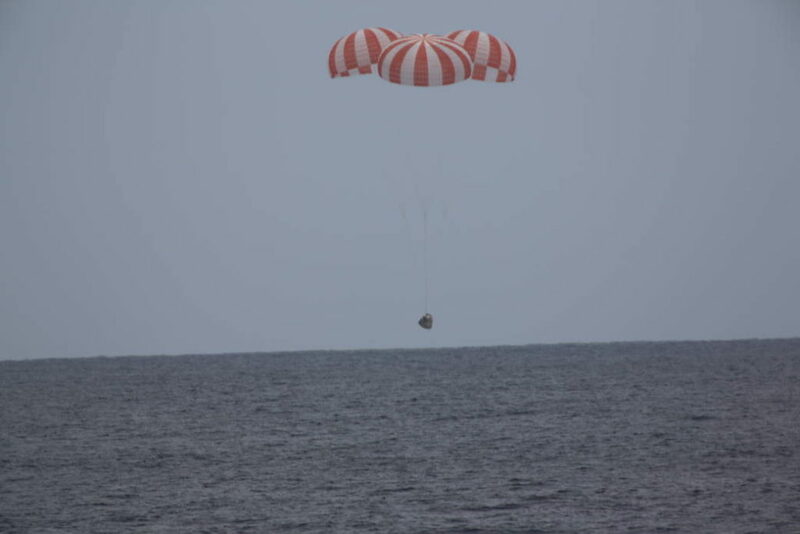 May 12, 2016 – A SpaceX Dragon cargo spacecraft splashed down in the Pacific Ocean at 12:51 p.m. MDT Wednesday, May 11, about 261 miles southwest of Long Beach, California, with more than 3,700 pounds of NASA cargo, science and technology demonstration samples from the International Space Station. The spacecraft lifted off from Cape Canaveral Air Force Station in Florida April 8, and arrived at the space station April 10, carrying almost 7,000 pounds of supplies and scientific cargo on the company’s eighth NASA-contracted commercial resupply mission. Dragon is the only station resupply spacecraft able to return a significant amount of cargo to Earth until Sierra Nevada Corporation’s Dream Chaser Cargo spacecraft starts ferrying cargo.